We’re in the New Year and the time for making resolutions about health, wealth, family and oddball bucket lists. Don’t forget about making resolutions about your online presence as well. Your website 2012 resolutions should include content, communications, community, conversations and conversion. 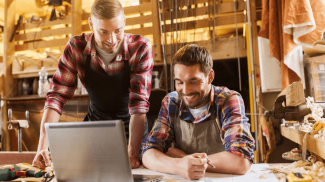 The secret of successful small business owners is that they spend more time “on the business” than “in the business.” One of the tools for spending on your business is your web presence. Small businesses are great at customer service and realize that their next customer will come from a current customer – Word of Mouth. In the digital world word of mouth is “word of mouse” a powerful tool to gain new customers. A new era of marketing is unfolding and digital marketing helps you in your objective to influence behavior to change positively towards you. The audience who need your product and services are increasingly searching for them online. It is interesting to see how the communication tools are coming together. We hope you are convinced that even your brick and mortar business needs to be on the web. Guess what – “92% of online adults use search engines to find information on the Web” according to a May 2011 Pew Internet Survey (PDF). Not having a website for your business is not an option anymore. A website or a blog all count as establishing your web presence. Resolve to update it constantly. Once a day, week or even a month as long as you are consistent. Show your thought leadership through content. Publish your thoughts on your industry, peers, products, good news about your community. Education through content – provide tips to your customers, answer the most asked questions on your website or blog. Fresh and updated content is a good way to ensure search engines are indexing your site often and your chances of appearing in search results will be better. Email Marketing is still a top performing marketing channel for businesses. Embrace it and use it to flourish. It is important for you to get email branded with your business name showing consistency and credibility. Communicate with your customers to solve their problems with your product rather than selling your product. If you are sending an email newsletter you should try to use software like Constant Contact, Exact Target, MailChimp or other professional tools. Many of these tools make it easy for you and also guide you to succeed in email marketing. Establish communications with customers using popular social media tools like Facebook and Twitter. Before you decide on setting up your social profiles, asking your customers where they would like to connect with you is a good idea. Food trucks use this medium very well to let customers know their location. Last minute availability of appointments at doctors, saloons. Your website should have the components of a Web 2.0 site – ability for your web visitors to comment, share your content and bookmark it. Your blog, social media tools are all communication tools and working together with email make great marketing tools. Every business should nurture their customer communities by providing them with tools to spread word of mouth. Sponsoring local community events – get involved in local community events, PTA organizations, schools , scout groups. While investing in technology evaluate the benefit to your organization and avoid any impulse buys. Upgrade your Internet speeds if you feel it will increase the speed of your customer transactions. Get a new smartphone if you are away from your computer a lot and your business depends on emails and orders from customers through the web. Invest in a tablet if you would like to carry an electronic portfolio to show customers. Attend trade shows or subscribe to trade magazines to see what new technology can help make your business more efficient. Consider having an advisory board of people you know who can advise you on new technology. Conversion: All your resolutions should lead to your objective of growing your business. Make sure you spend your time on activities that help your business grow. Social tools can be distracting. Consider them as communication tools and allot enough time to nurture your communities there. While only talking about sales in a social context is sometimes in poor taste, look for opportunities where you answer peoples questions and offer to help. Definitely use analytics programs to see where your traffic is coming from and which keywords they are using to find your business online. If you are a brick and mortar business like a restaurant, try to ask your customers where they found you. Remember you don’t have to do all these tasks yourself. Weigh the time you would spend with the cost of hiring people to tell your story and concentrate on what you do best – working on your business. 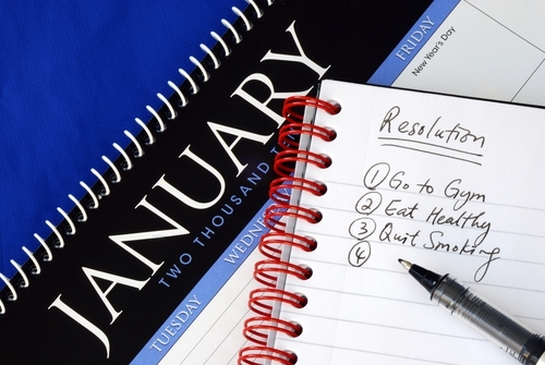 What did you add to your New Year business resolution? All smart website resolutions for 2012–and they all conveniently begin with the letter C. Cool! I know a few people who still don’t have one; they don’t feel that they need one. Happy New Year ! I am glad you like the “c” theme here. Thanks for your valuable advice for 2012. We could all do with New Year business resolution. Website improvement should certainly be on the agenda. Great article. All the ‘c’s make it easier to remember. Thank you – Shefiu and Dee for your comments.